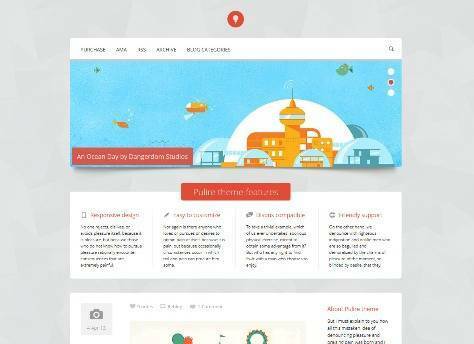 Best collections of responsive free and premium tumblr themes. Metro is a minimal yet functional tumblr theme, built with over 60+ customize options, responsive layout, slide out sidebar, disqus comments, social icons, social feed (Twitter, Instagram & Dribbble), google analytics, columns adjusts along with the screen size and more. 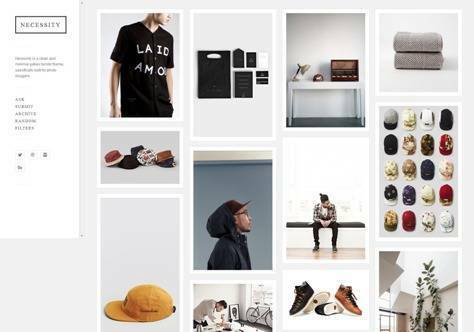 Necessity is a clean and minimal tumblr theme, specifically built for photo bloggers. Necessity has responsive layout, optional infinite scrolling, columns adjusts along with the screen size, disqus comments, tag a post with “large” to double its width, google analytics, social icons and more. 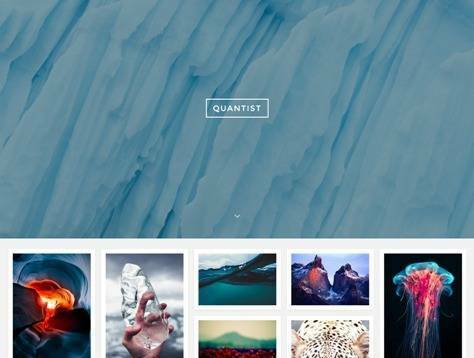 Quantist is a Full Screen Grid Tumblr Theme with responsive, full screen slideshow, infinite scrolling, over 50 customize options, filter post type, support all post types, social feed (Twitter, Instagram & Dribbble), google analytics, social icons (all 15 major social networks) and much more. 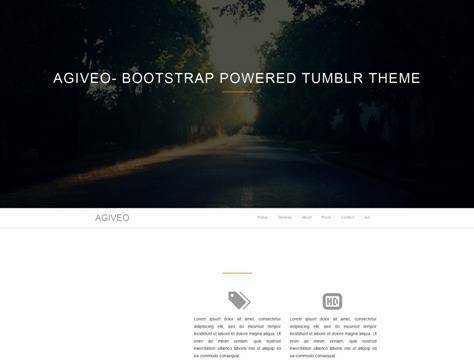 Agiveo is a fully responsive Bootstrap Tumblr theme. 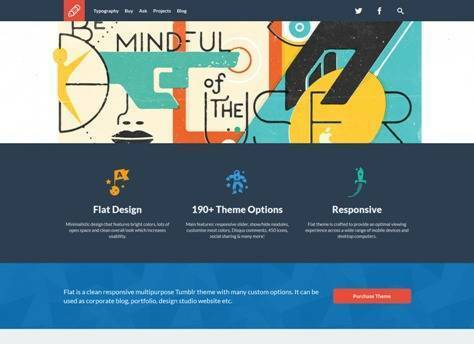 This theme comes with fully responsive, all post types support, disqus integration, sticky nav, social icons, mailchimp subscription form, enable/disable animation and contact form. 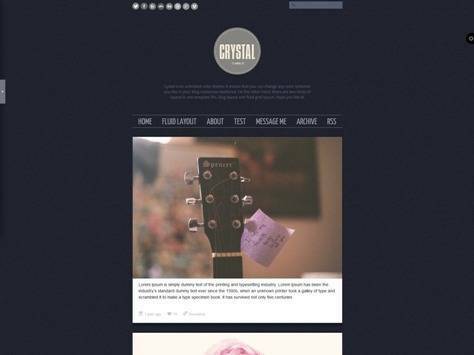 HG is a clean and modern responsive theme for all type of tumblr bloggers. Features are responsive, colors, social accounts, enable/disable, pages, disqus and more. 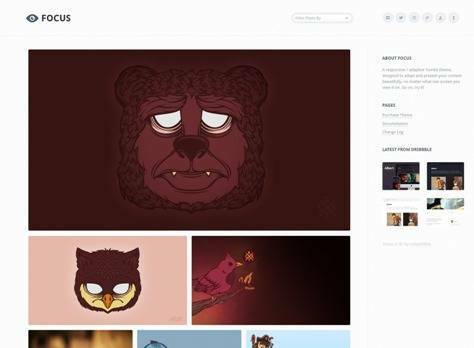 Rockwell is a clean masonry style tumblr theme with over 50 customize options. Rockwell has responsive layout, infinite scrolling, disqus comments, social icons, social feed, support all post types, google analytics, columns adjusts along with the screen size and more. 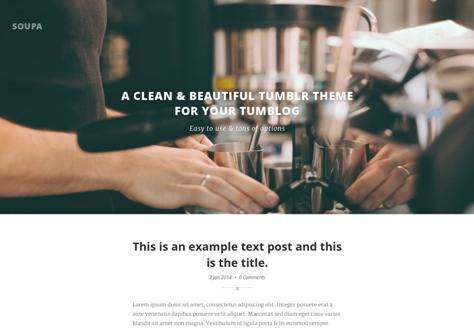 BlackBlue is a Free Responsive Tumblr Theme. This theme comes with custom colors and images, responsive, search and more. 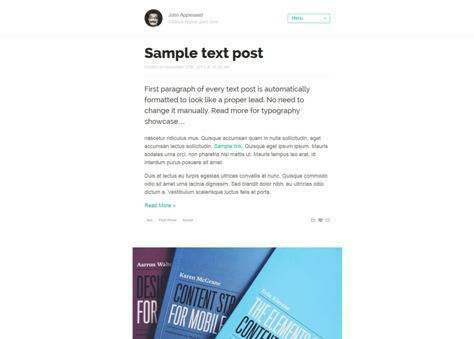 Soupa is a clean, minimal and responsive template for your tumblr blog. Features are image slider, custom CSS support, social integration, all post types supported, disqus commenting and more. 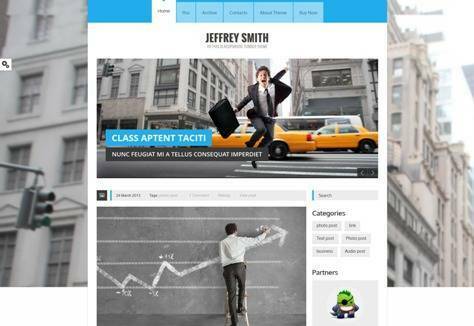 Jeffrey Smith is a simple and clean Responsive Tumblr Theme. It’s easy to modify and customize, created by using the latest HTML5 and CSS3 techniques. It has a flexible responsive layout, 8 color schemes, google 500+ font, google analytics support, partners block, image slider width upload images and much more. 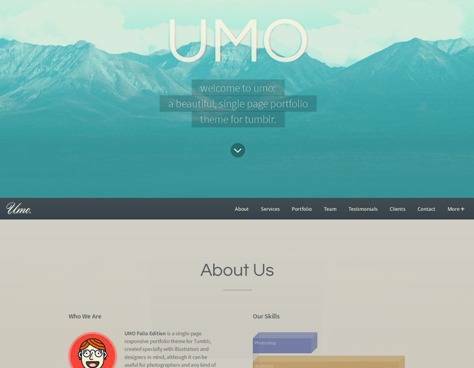 UMO Folio is a One Page Portfolio Tumblr Theme for illustrators, photographers, designers and any kind of graphic artists as well. 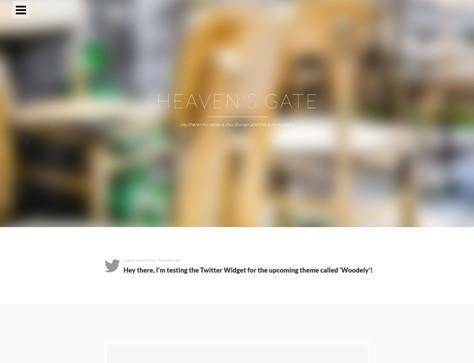 Features are ultra responsive, random header backgrounds, social sharing support, liked posts feed, slider, twitter and dribbble feed, custom footer tagline, customizable text widgets and more. 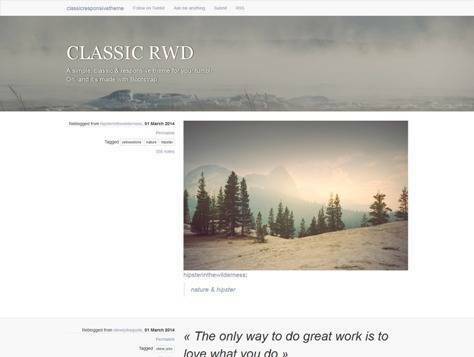 Classic RWD is a simple responsive theme for your tumblr. 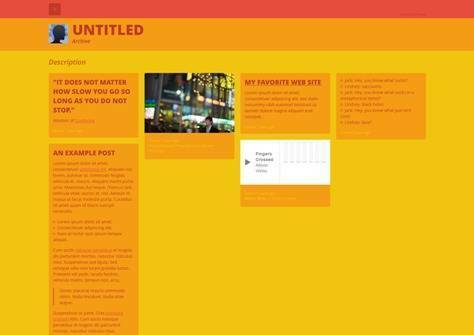 This theme comes with custom colors, localization, all post types, tags, custom images and more. 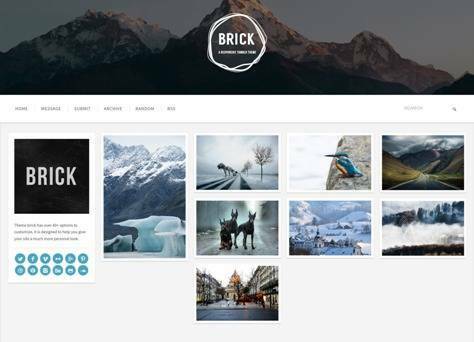 Brick is a Responsive Grid Tumblr Theme with responsive layout, adjustable post width, infinite scrolling, disqus comments, google analytics, support all post types, social icons (all 15 major social networks) and more. 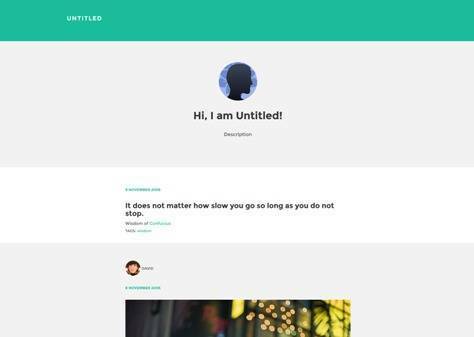 Cystal is an unlimited color theme, it means that you can change any color schemes you like in your blog customize dashbrod. 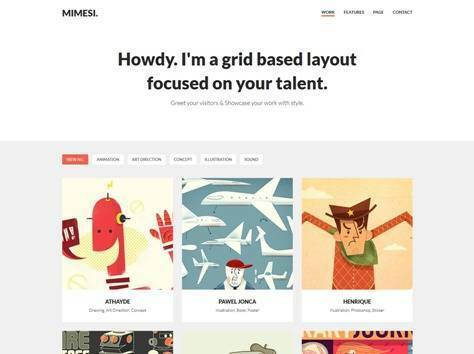 MIMESI is a Creative Portfolio Theme for Tumblr. 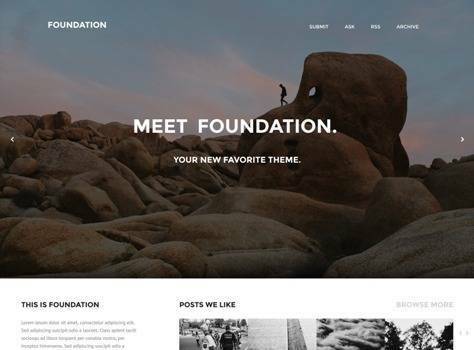 This theme comes with tesponsive design, retina ready, customizable navigation, social links and Icons (with over +70 social icons), +600 google web fonts, support for internal/static pages, compatible with all modern browsers, pixel-perfect design and more. 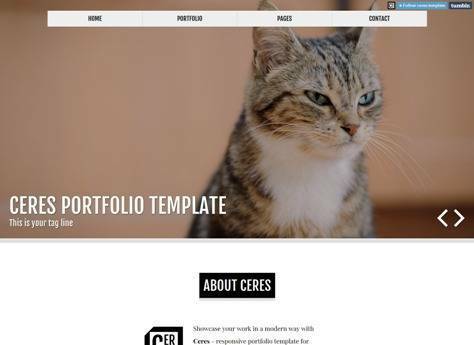 Ceres is a Responsive Portfolio Tumblr Template with custom CSS and pages, google fonts and analytics, up to 20 social profiles, easy and rich customization, up to 8 categories and much more. A simple and elegant free theme for pretty much any sort of Tumblelog. Features are custom header, navigation, custom fonts and colors, responsive, localization, tons of customization options for header, body, links, everything else. Zen is a very clean and simple theme. The theme features a responsive layout and retina graphics (for mobile, tablet, desktop and anything in between), integrated google analytics and google fonts, integrated disqus commenting system, keyboard controlled navigation and more. 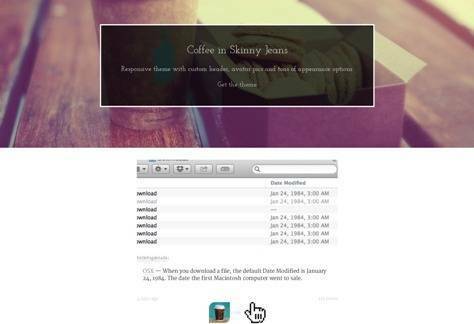 Reflexx is the world’s most awesome Tumblr theme. 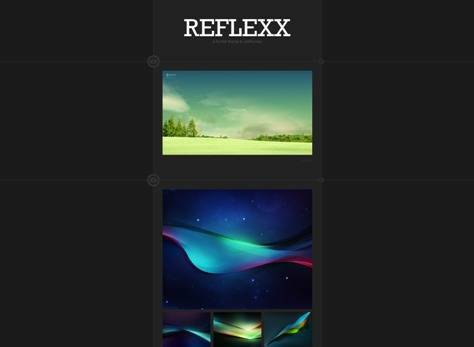 Reflexx is progressively coded in HTML5, but degrades gracefully in older browsers thanks to the HTML5. It also has some cool CSS3 animations that degrade gracefully in older browsers as well. 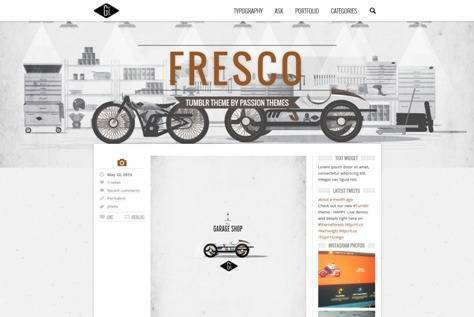 FRESCO is a clean multipurpose, minimal theme for blogging system. Features are custom theme colors, custom blog logo in the menu bar, responsive design, flickr photos sidebar widget, HTML5 + CSS3 animations, support for user defined pages, fancybox for photos/images preview and more. 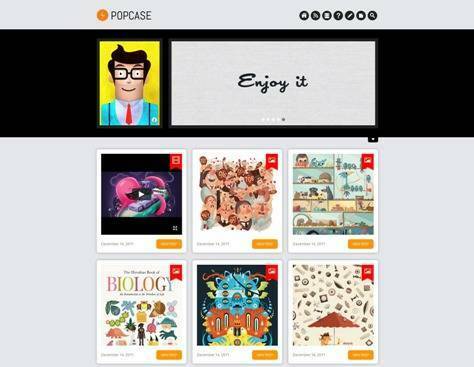 Happy 2014 is a free responsive theme. It features mobile navigation for small screens, lazy loading of images, responsive images and photosets, responsive videos, a plethora of social icons, and much more. 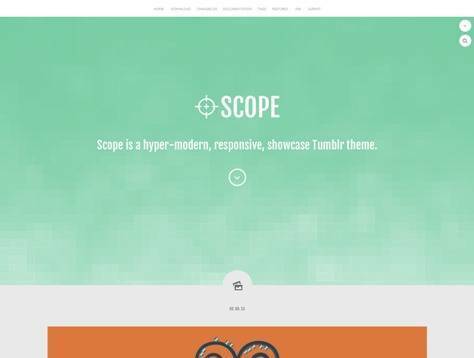 Scope is a Responsive Showcase Tumblr Theme. Scope comes packed full of features and widgets. Show off your best work in the header with a full screen size image to catch the viewers attention. 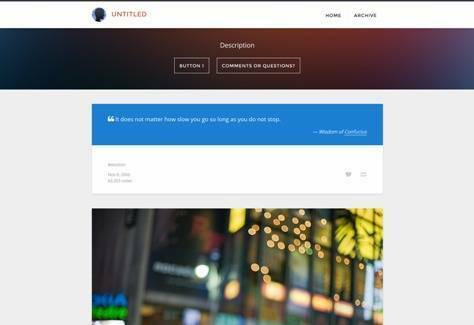 FLAT is a minimal and clean multipurpose business theme for blogging system. Variety of custom options makes it a flexible theme – corporate blog, portfolio, design studio website etc. Stanleyr is a Tumblr port of Black Tie’s Stanley Theme. Like Stanley, Stanleyr is based on Bootstrap 3.0.3 framework. So it is responsive and extendable. Features are Highly responsive, Custom colors, Supports all post type, Google Analytics, Social Links and much more. 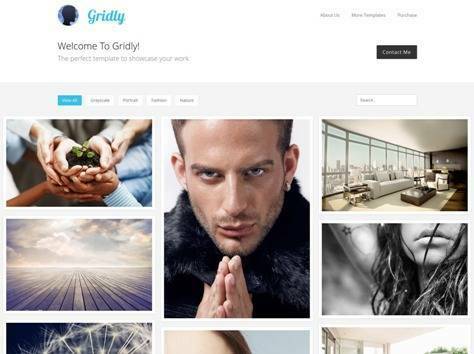 Gridly is the perfect tumblog template for you to showcase your work or transform your blog. It is fully responsive, disqus commenting, infinite scrolling, supported by all major browsers, custom CSS support, all post types supported and advanced post filtering system. 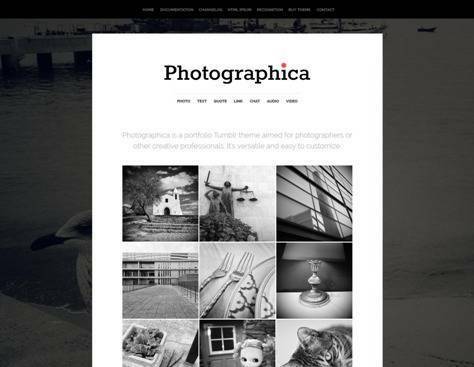 Photographica is a portfolio Tumblr theme for photographers and other creative professionals. Photographica has homepage/tag list with thumbnails, support for group posting, photosets layouts, mobile ready, pages and ask form supported, lightbox support (full screen zoom) and much more. Bricolage – A responsive theme with big letters, a nice and big customizable header, and a popup ask box for easy asking. 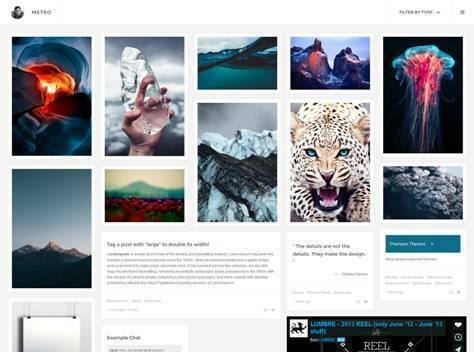 PULIRE is a Responsive Multipurpose Tumblr Theme. Variety of custom options makes it a flexible theme – use it as your personal blog, corporate website or as a portfolio. PULIRE supports following post types: text, photo, photoset, audio, video, quote, AMA, chat and link. 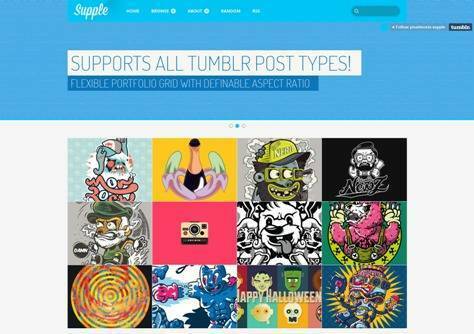 SUPPLE is a versatile portfolio theme for Tumblr by Pixel Moxie. SUPPLE is aimed at creatives, designers, illustrators, photographers and video artists. Debut theme was designed with great care to every detail. We wanted it to be a perfect theme for writers. Features are fully responsive, unlimited customization, disqus comments, custom colors and images, all post types, localization and more. 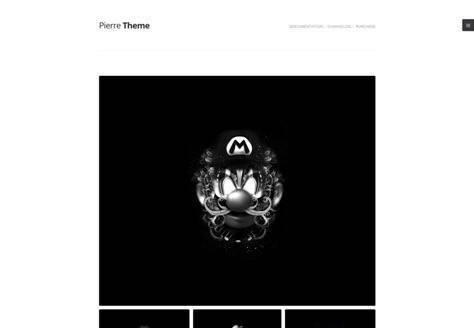 Pierre is a super clean Tumblr theme aimed at making your content the center of attention. 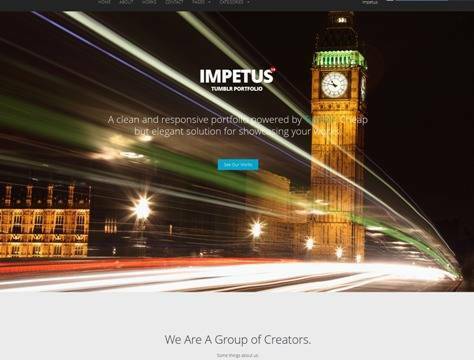 Easy to customise with support for Disqus, Flickr, Twitter, Dribbble, Instagram, Google Adsense and Google Analytics. 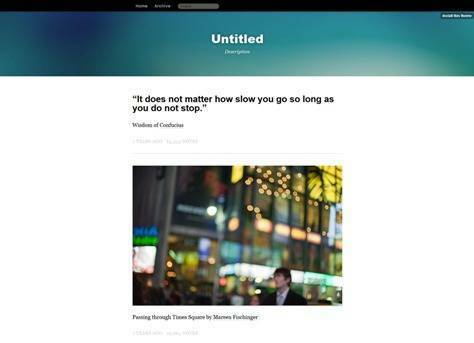 Focus is a minimalistic and adaptive Tumblr theme aimed at presenting your content, to any device, without clutter. Easy to change colours and background images as well as support for Disqus, Flickr, Twitter, Dribbble and Google Analytics. 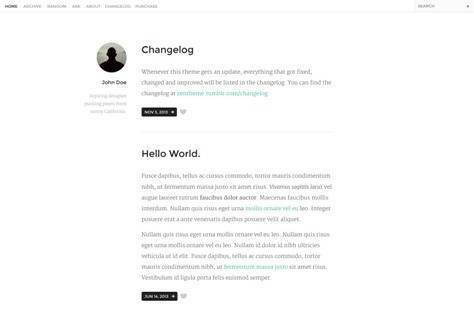 Blanc is a clean and responsive theme. All colours are customisable along with the fonts used, footer text and the header. 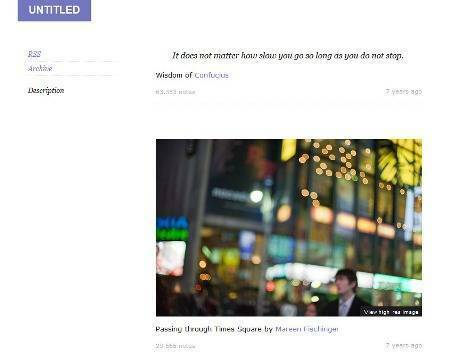 Blanc uses a two column layout for wide screens and drops to a compact single column layout on smaller screens. 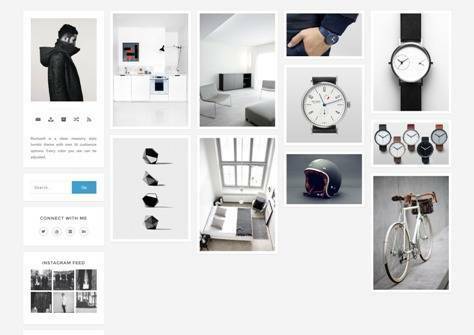 Maximus is a free Tumblr theme with custom colors, custom images, localization, responsive grid with optional banner, social links, infinite scroll, modal boxes.